Details are important when fly fishing for steelhead and running a wood boat through the rocky rivers of the Pacific Northwest. It’s the details I obsess about – the knots, the leaders, the water temperature, the boulders that might hold fish or punch a hole in a wood boat. I am “Obsessed by Details” or OBD. Every piece of gear I carry must pass the OBD test. When I put sunglasses under my microscope, Popticals sunglasses are my choice. It’s the only brand that provides superior visual performance and a portable design that can be easily packed anywhere to protect the lenses. Eyewear must cut through the glare and provide clarity to see tiny details like the color of insects hatching, the subtle rise of trout, or the faint underwater shadow of a holding steelhead. Popticals offer a level of detail head and shoulders above other glasses. When I row, eyewear must give me clarity to see “the safe line” through rocky sections of river as well as in the distance when I am judging obstacles downriver. Popticals are the sunglasses I trust with my boat on the line. My sunglasses must also provide superior protection from sharp hooks flying through the air. The Popticals I wear have a great side guard that provides outstanding protection. 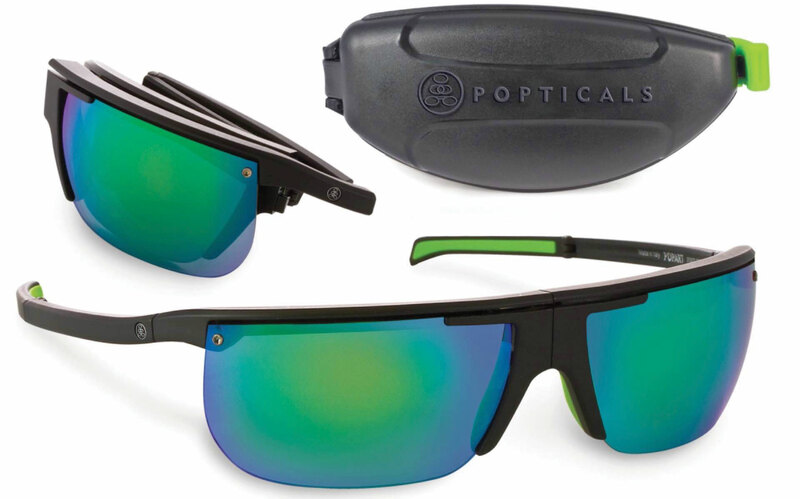 Popticals sunglasses are the perfect combination of performance and protection with the bonus feature of folding down so small they fit in the palm of my hand. Greg Hatten is a professional fly fishing guide and wood boat builder. Check out Popticals sunglasses at popticals.com.